The goal of commercial organisations is to build shareholder value. For most, value is created by generating revenue and profit. How can you effectively pull on those two levers? How can you define whether the business is working optimally? How do you identify business opportunities, where you should invest more and where you can reduce costs? Hear about how this leading accountancy firm chose Workbooks, the integration between Workbooks and CCH, how they can now quickly report on sales and marketing activities to make informed decisions and ensure they focus on activities that win business. See how Workbooks have helped Soak manage their customer enquiries process. Watch an exclusive interview with soak.com, a leading online bathroom retailer, where we discuss how they implemented CRM to address their customer service challenges. Ilyash Dedat, Customer Service Director at soak.com explains how they have implemented a CRM tool to address their customer service challenges and the benefits they have experienced as a result. Ilyash is joined by Penny Lowe, Head of Service Delivery at Workbooks, who shares her experience of the implementation of the CRM platform. See how Workbooks can we help you acquire, convert and retain customers. Workbooks CRM can we help you acquire, convert and retain customers? Workbooks CRM enables you to work more effectively, to better identify opportunities, close more deals and grow revenue. Learn how Workbooks can help accelerate sales and increase productivity. 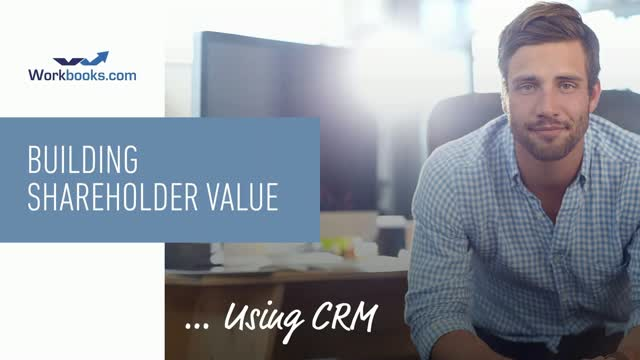 See what Workbooks CRM has to offer for marketing professionals within the CRM tool. Learn how Workbooks CRM helps you run campaigns and generate more quality leads, giving you the tools you need to execute your marketing strategy and measure ROI. CRM and marketing automation platforms need to work in sync to achieve maximum results from your marketing activities. Each is one piece of the puzzle for a full marketing stack that gets the results you need to his your goals. Our CEO and Head of Service Delivery, John Cheney and Penny Lowe, provide practical advice and guidance on email marketing, e-privacy and GDPR. In this webinar series, we discuss what to consider to ensure your electronic marketing communication does not put you in breach of the regulation. It won't come as a surprise that at Workbooks we are driving many of our processes using our CRM platform. This webinar series is about sharing our thinking and approach around GDPR and how to leverage CRM to make it easier to get compliant and remain compliant. Workbooks CRM CEO, John Cheney, and Head of Service Delivery, Penny Lowe, discuss how to best leverage CRM to address the rapidly approaching General Data Protection Regulation (GDPR). Workbooks CEO and Head of Service Delivery, John Cheney and Penny Lowe, discusses how to best leverage CRM to address the rapidly approaching General Data Protection Regulation (GDPR) in the first part of this series. Workbooks is a UK based organisation offering a feature-rich CRM for marketing, sales and customer service, with additional business functionalities including marketing automation, sales order management and invoicing. Workbooks joins up the entire organisation around data and processes, promoting teamwork and collaboration. It provides a single 360 view of customers and the information is accessible anytime, anywhere.